About: On the morning of January 20, 2001 the climax of the Cold War set the post-apocalyptic stage for the series. About: Out of the ashes of global destruction, Ryan Cawdor and his roving band of warrior survivalists continue their grim odyssey across a nuke-ravaged America, searching for a sanctuary and the promise of a better life. About: A century after a global nuclear holocaust, Ryan Cawdor and his band of warriors, seeking a better life, arrive in Florida, where a technical genius has claimed a former amusement park as his domain, and his guests are challenged to survive his re-engineered rides. About: Longarm helps a beautiful wife find her man…After Bethlehem Bacon’s husband goes missing while out surveying on the Wind River Indian Reservation, Deputy U. 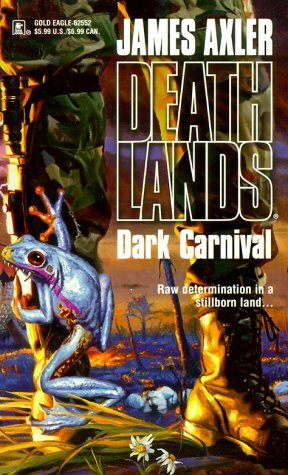 With James Axler | from Gold Eagle (April 1, 1999); titled "Dark Carnival"